Welcome to Mrs. B’s New website! 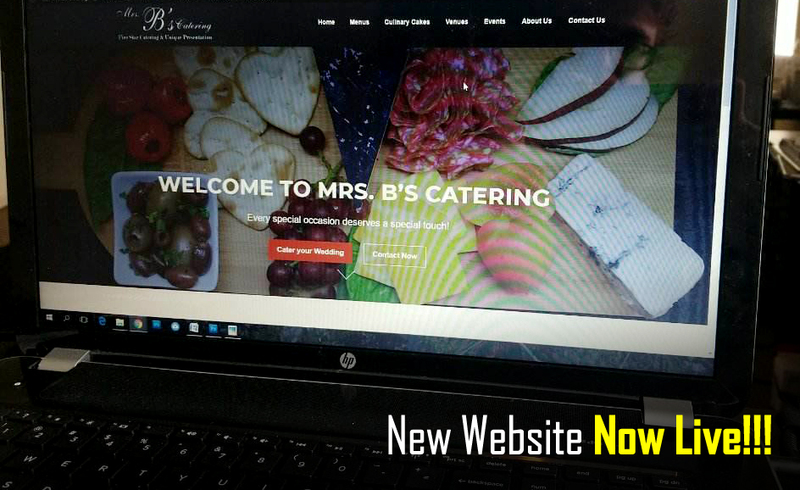 Welcome to the brand new home of Mrs. B’s Catering online! Here you will find our delicious menu, the venues we work with, some of our latest cake creations…and more! We welcome you to spend some time browsing our new site, and don’t forget to get reach out to us with any questions and comments you have! Also, if you have any feedback on the new look please don’t hesitate to let us know!